Marko Marulić and Miroslav Krleža helped to define Croatian literature and identity, which became highly valued during recent times of uncertainty and doubt. Marko Marulić, a Renaissance humanist and writer, has long been considered the father of Croatian literature with a similar stature to Britain’s Geoffrey Chaucer. Living in the historic city of Split on the Adriatic coast during the 15th century, his works were printed in Venice, which was at the time the center of the new printing press, and so his works were widely circulated in both Croatia and Italy, and possibly beyond. Marulić’s epic poem and most famous work Judita is a retelling of the Biblical story of Judith and Holofernes. This work also represented a highly personalized analogy for the Ottoman Turks invasion into Croatia at that time, which the pious Marulić saw as a punishment for the licentiousness of Croatian bishops. Despite being a moralizing hybrid of biblical and contemporary issues, the poem holds plenty of excitement for the modern reader. Marulić’s alliterative and rhythmic style creates a fast-paced and action-packed poem, and can even add a touch of comedy to something as grim as the murder of Holofernes. Marulić recounts this murder with relish: emphasising how the body was ‘stretched as flat as board, sans head, like a stump of tree’ as Judith for good measure ‘struck lustily, once more, cut off his head’. Not, perhaps, what one would expect from a deeply religious and peace-loving Renaissance humanist. The besieged city of Bethulia is modelled on 15th century Split, which can be recognised throughout the poem from various descriptions: for example, ‘with chasms cliff-girt set among craggy screes, where on the heights alert they whirl their slings with ease’. 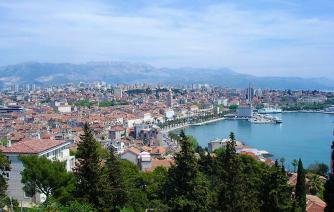 The poem also reflects Split’s position as a gateway to Croatia for other countries, as well as a port for the Venetian empire to the East. Its ancient roots can be traced back through to the building of Diocletian’s Palace in 305 AD, and even before, as the Greek colony of Aspàlathos are also evident throughout the epic. 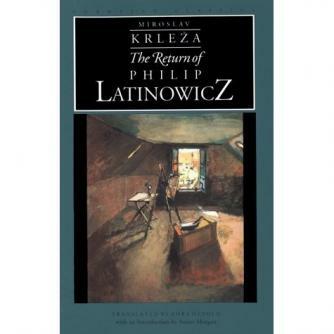 Krežla’s greatest novel, however, is generally considered to be The Return of Philip Latinowicz, which similarly exposes the petty desires and motivations of the Croatian bourgeoisie. Set against Croatia’s Danubian plains in the ancient Roman Pannonian basin, the novel describes the emotional and intellectual journey of a disillusioned painter who returns to his hometown in the hope that reconciliation with his mother and confrontation of his national identity will inspire a masterpiece. On a wider scale, it also explores the disjointedness and dislocation of the modern consciousness, evoking the existentialist doubts of Europe’s great thinkers at this time. Krežla’s work may sound bleak and dense, but he writes with a light and descriptive touch, and is an essential read for anyone trying to understand the modern Croatian consciousness, which he verbalised. His stance on art and literature was adopted as the official one after 1945, and as an inheritor of two literary traditions – both Croatian and that of the European avant-garde – he can be seen as the heir to a great literary legacy. If Marulić is the father of Croatian literature, then he is surely the son.